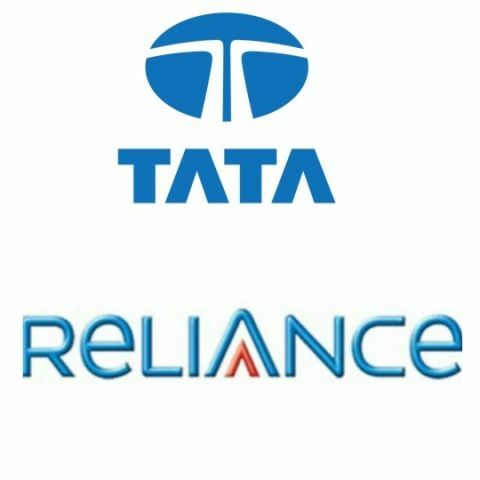 According to a report, RCom chief, Anil Ambani has approached Chairman of Tata Sons, N Chandrasekaran to initiate merger discussions. Consolidation seems to be the current theme for telecom giants in India, given the entry of Reliance Jio with its free calling and data services. A few weeks after Vodafone confirmed ongoing merger talks with Idea Cellular, a report from the Economic Times suggests that the Tata group and merged RCom-Aircel, MTS may be looking to tie-up as well. If the merger goes through, then Tata Tele combined with RCom-Aircel and MTS will look to grab the third spot in India’s telecom sector, just behind Bharti Airtel and Vodafone-Idea. The proposed merged telecom entity is expected to have over 260 million subscribers and a market share of 18%. Currently, Bharti Airtel holds the top spot in the Indian telecom space with 266 million users and a 31% market share. If Vodafone and Idea Cellular go through with the merger, they will become the largest telecom by user base and revenue market share. As of December 31, Vodafone and Idea have 205 million, 190 million users respectively. While Vodafone commands a 23% market share, Idea enjoys 19%, making it a total of 42% if combined. The Tata Tele-RCom-Aircel-MTS combine looks to challenge Reliance Jio’s growing subscriber base. The Mukesh Ambani-led telecom recently announced that it had reached a 100 million subscriber base. "When we started Jio, we set a target for ourselves that we will acquire 100 million customers in shortest time. Even we didn't imagine that we would do it in months," said Mukesh Ambani at a Nasscom event.